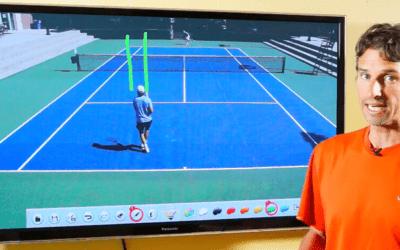 Today’s online tennis lesson will go over when you can use the slice backhand at an important time. I get a lot of questions about the slice backhand and when to use it. I believe the slice is a great shot to help mix up the point, and it’s a good idea to use the slice right after you hit your serve. 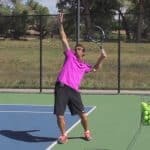 It is a good change of pace to hit a serve and then hit a slice on the next ball if it comes to your backhand, and you feel a little off balance. Many players hit a serve and try to crush their backhand and aren’t in position to do so. This is not always the best strategy, and instead you can mix things up and use your slice instead. 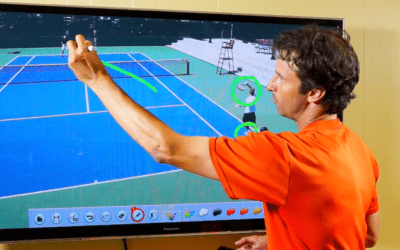 So many players are taught, in their tennis lessons on court or online to use the slice in a rally especially when they get pulled wide. 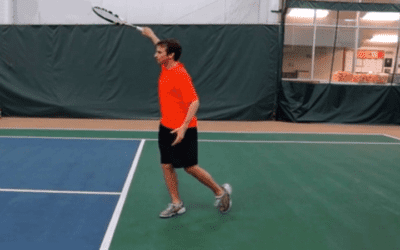 You can also use the slice backhand after the serve to neutralize a good return to your backhand side. Plus, using the slice gives our opponents a low ball that they might have trouble handling. 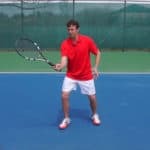 Next time you are playing tennis, try and hit a serve and then hit a slice on the next ball to throw off your opponent.